Thats easy peasy ! 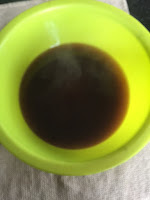 : Homemade vegetable stock from Veggie scraps! 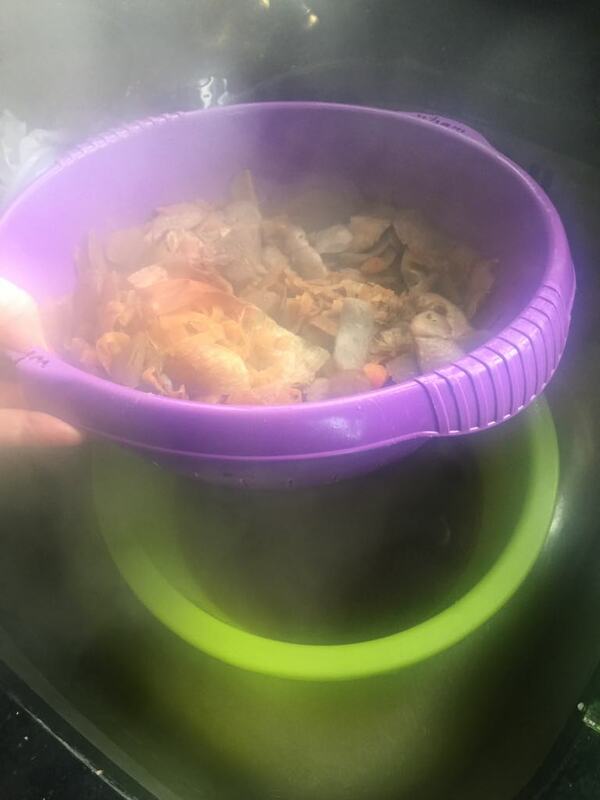 A great way to use up all those veggie shavings and scraps and save money is to make your own stock. Simple to make, you'll save yourself a fortune on shop bought stocks AND it's homemade so you know exactly what is in it! Get yourself a large zip lock bag and date it when you start. 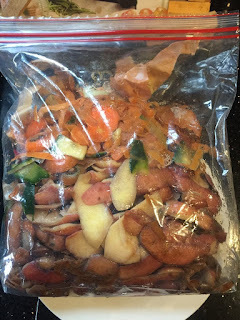 Add to it all your vegetable shavings, cut offs, herb stalks, peelings..... pop bag into the freezer for up to a month and keep adding to it until the bag is full. 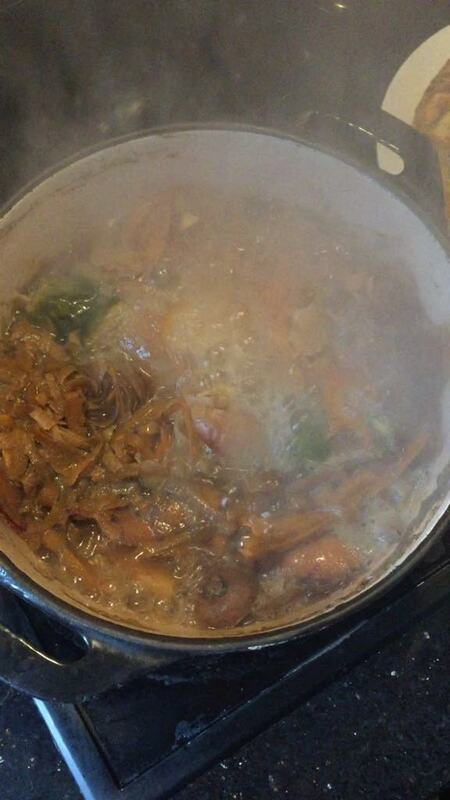 To make the stock, simply empty the contents into a large pot. Pour water in to cover, bring to the boil and simmer for at least 30 minutes. Strain the veggie mix over a large bowl or pot and let all the juices flow into the bowl. 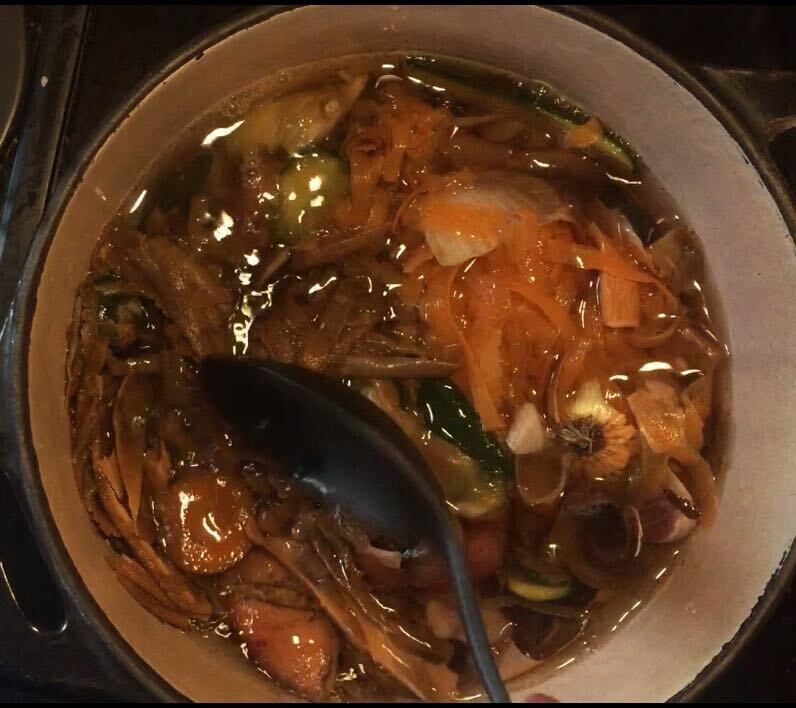 Discard the veggie scraps now and you are left with your homemade vegetable stock. 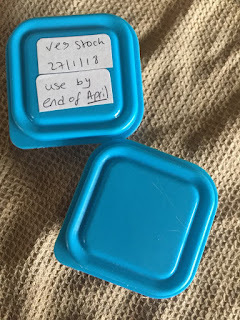 You can now store this in a jar for up to 4 days, if you are going to be using it to make soup or gravy. 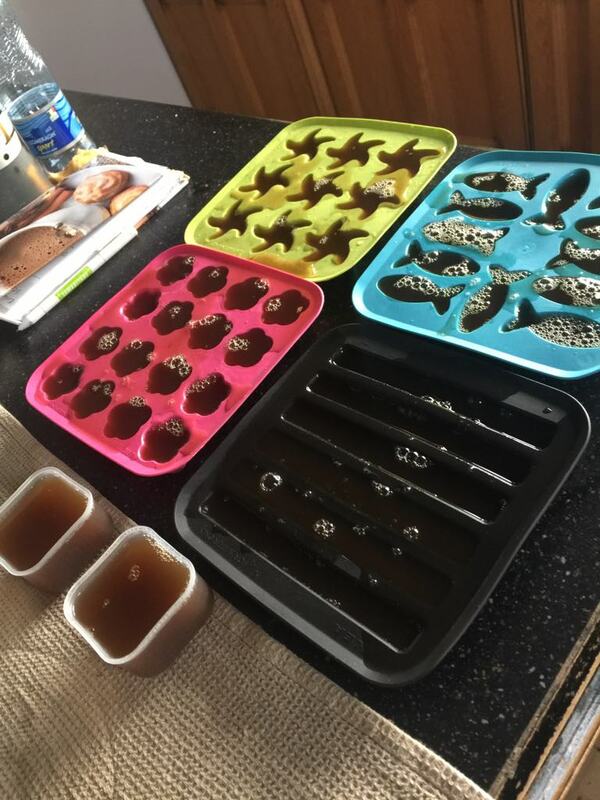 Alternatively you can pour the stock into ice cube trays, freeze them and finally pop them into a zip lock bag. They can be stored in the freezer this way for up to 3 months. You can then use them as you need them in stews, soups and gravys straight from freezer. Et voila!